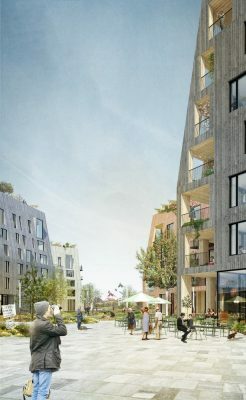 C. F. Moller and Slättö Förvaltning winner is a visionary residential district with a focus on solid wood in central Örebro. 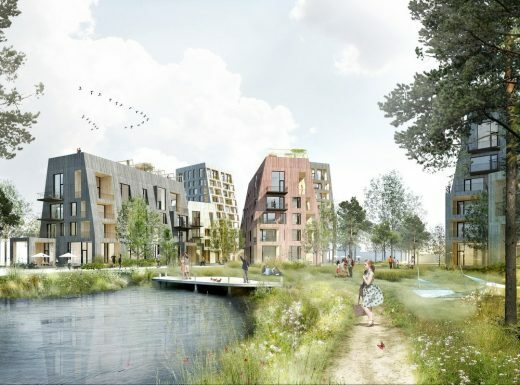 The proposal “Örnsro Trastad” (Örnsro Woodtown) sees C. F. Miller and C. F. Møller Landscape in cooperation with Slättö Förvaltning. 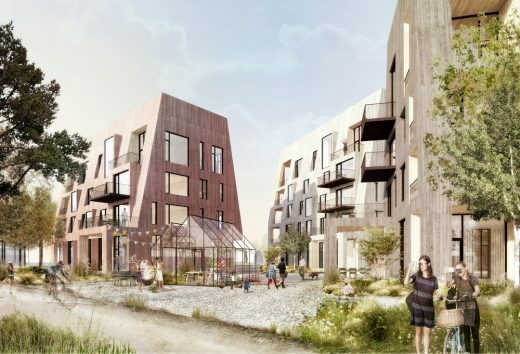 The design team won the competition for a visionary residential central Örebro. 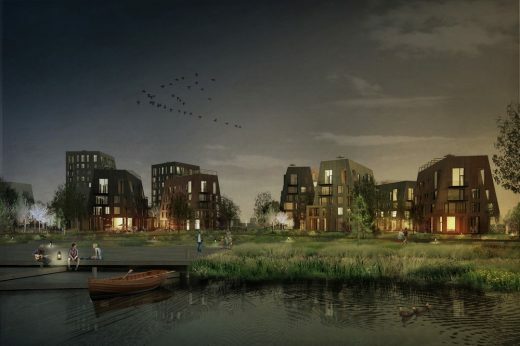 Örebro Municipality is working with the Swedish architects behind the architectural competition to create an out-of-the-ordinary quarter. 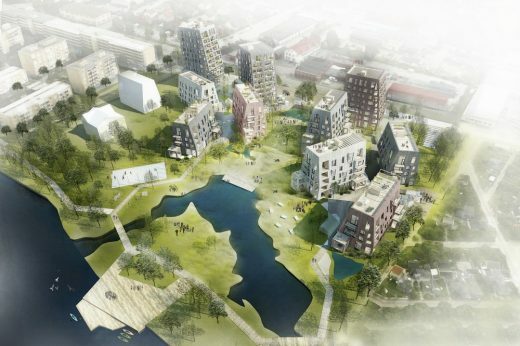 Örnsro Trastad should become a destination and a vibrant town of Örebro with a clear idea of how the city’s social circuit can be enriched by integrating nature into the urban landscape. The homes interact with an urban city park, which offers numerous activities and places for meeting places and recreation. 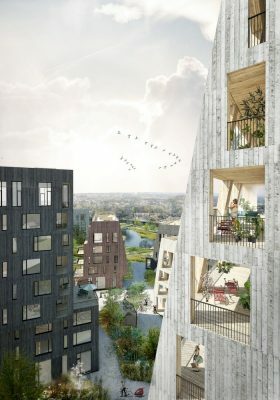 The buildings in the district are created with construction of solid wood and contribute positively to the overall project life cycle perspective. 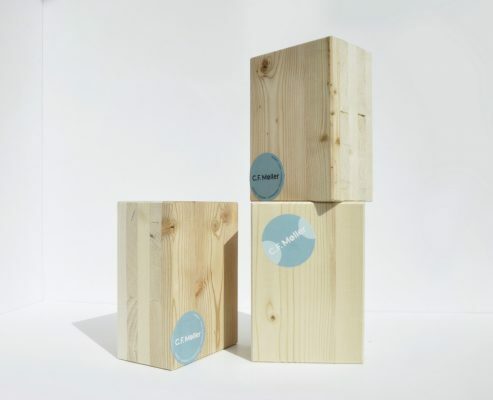 Solid wood is a renewable resource with low energy consumption and a reduced Co2 footprint. The new district is composed of several townhouses, which vary in height. Shopping streets and neighborhood streets connect the area and the promenade stretches along Svartån and into surrounding neighborhoods. Angen is a generous city park, which contributes to an unexpected meeting between city and wild nature. “We will develop an inclusive town, where the city’s urban and social qualities interact with the park’s ecological structures. 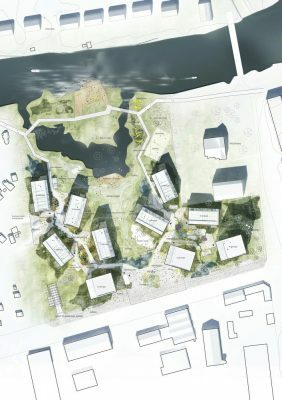 The proposal illustrates a vision with the goal of creating an exciting place in Örebro with unique values and innovative architecture”, says Ola Jonsson, the architect in charge of the project by C. F. Moller. “It is an obvious choice for us to select the structures of solid wood with wooden façades. Besides that it contributes positively to the environment, gives wood new opportunities to create innovative architecture”, says Ola Jonsson.